The varsity volleyball team had their most successful seasons the past two seasons, reaching the bi-district state qualifying tournament for the first time in program history in 2016 and the game-to-go in 2017. Three Northwest players were named to the Emerald City All-League Team, one as the co-MVP of the league. The girls volleyball program aims to create a program-wide culture that uses positive reinforcement and a culture of feedback to continue to build energy and enthusiasm around the sport of Volleyball. The Upper School program has three teams (Varsity, JV and JV-C) with around 30 athletes competing annually. The Middle School program has a 6th grade team and two 7th/8th grade teams. These Middle School teams practice during the PE block in the school day and have games in the evenings. 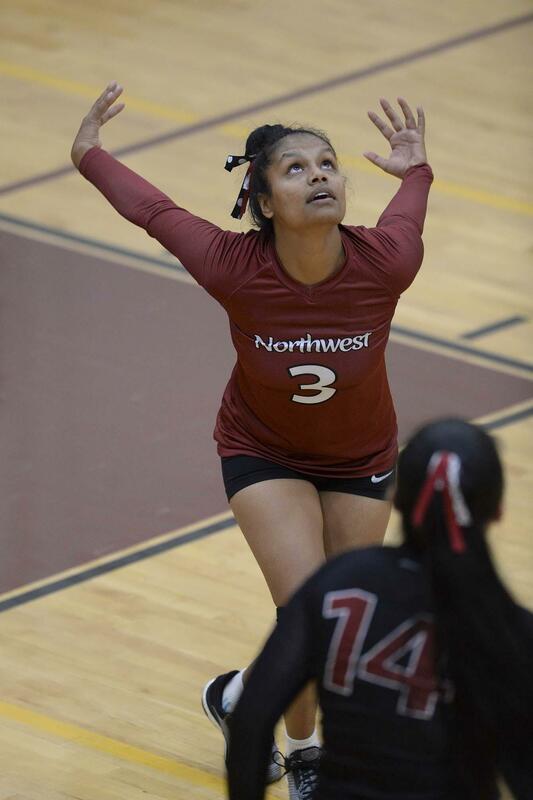 Any student interested in Volleyball has an important place in the program at Northwest, regardless of previous volleyball or athletics experience. Our goal is to make the sport of volleyball accessible to all. For any questions regarding the program, please contact Varsity Head Coach Ryan Griffiths.